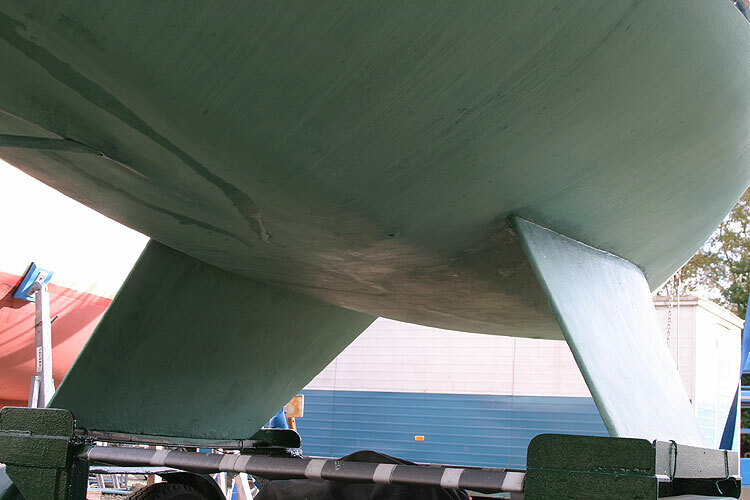 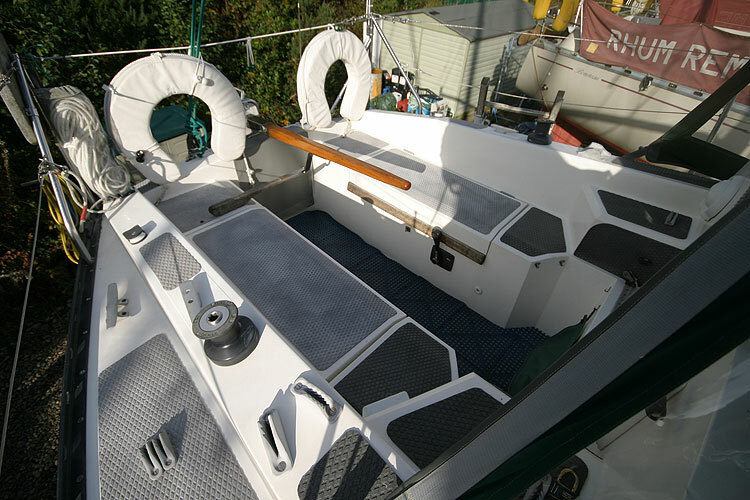 Designed by David Feltham of Cobra and Seawolf Yachts. 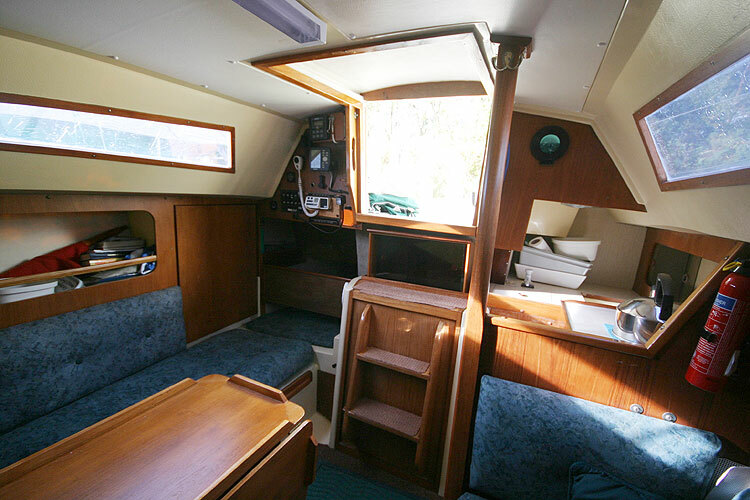 Meticulously well maintained and totally re-furbished over the last few years, this is the Mark Two version with a greater headroom of 5 foot 10 inches. 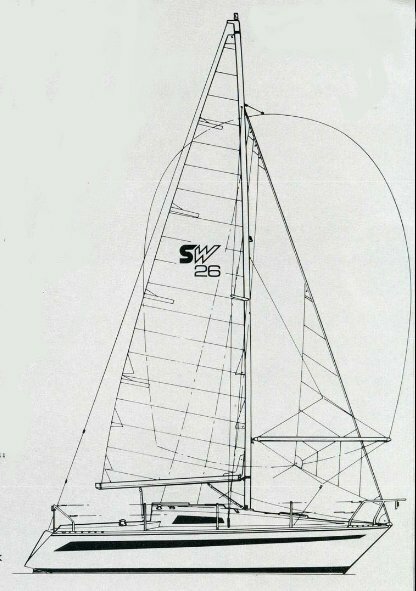 Also known as the Model 275 (Mk 2, LOD 7.5 metres?). 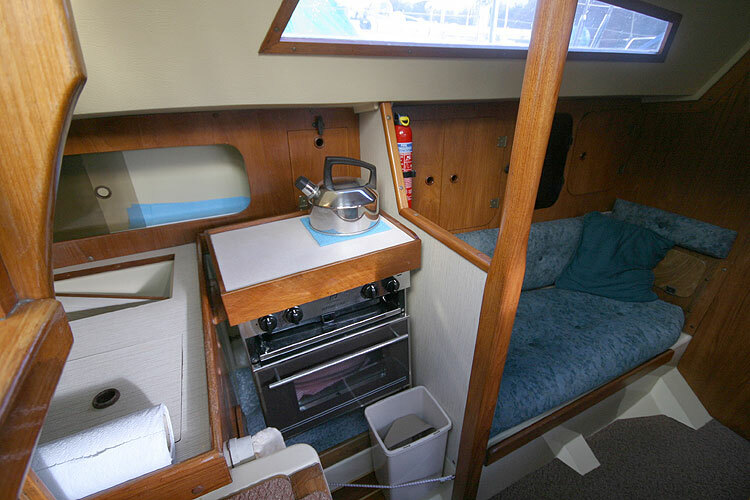 She has been the pride and joy of the current owners for 13 years is in truly excellent condition, and is reluctantly up for sale only due to ill health. 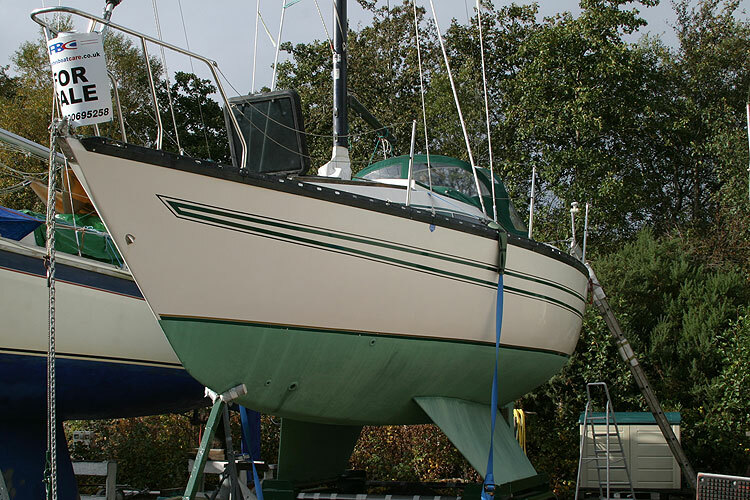 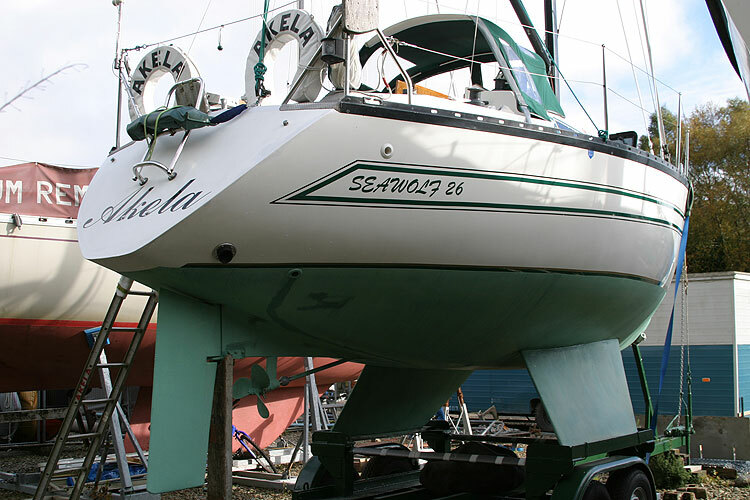 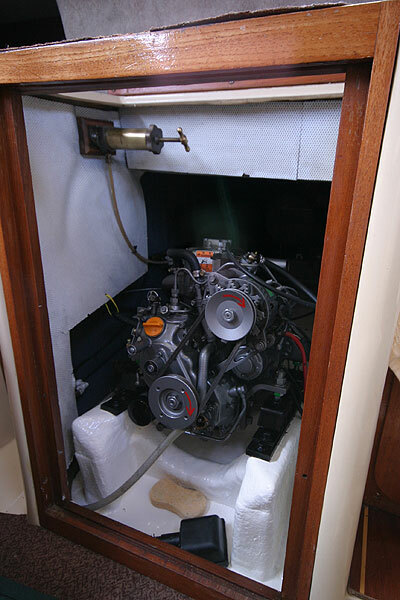 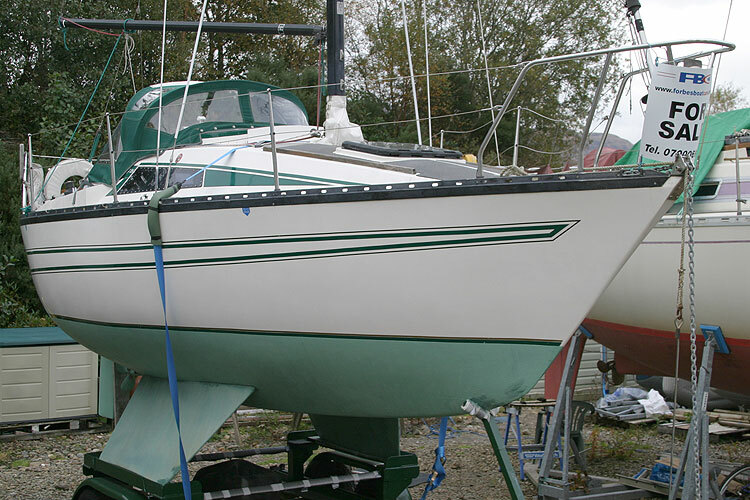 She was fitted, in March 2007, with a new Yanmar 1GM10 9.1 HP engine, new stern gland, grease injector and cutlass bearing three bladed prop and Ambassador rope cutter. 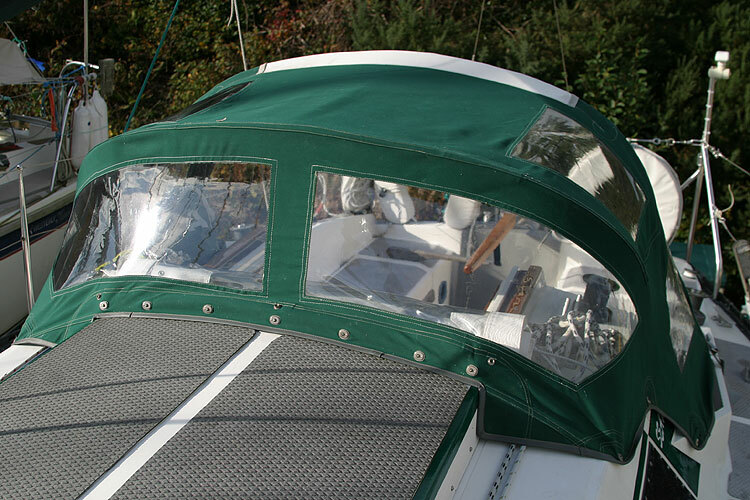 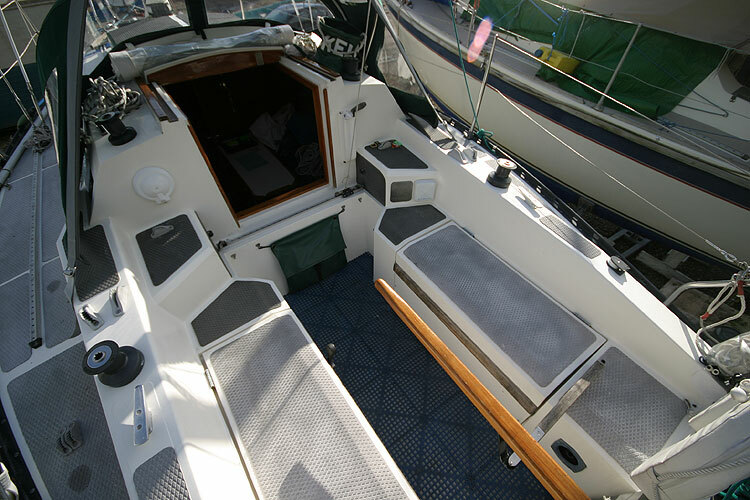 The fore cabin "V" berth with infill makes a comfortable double. 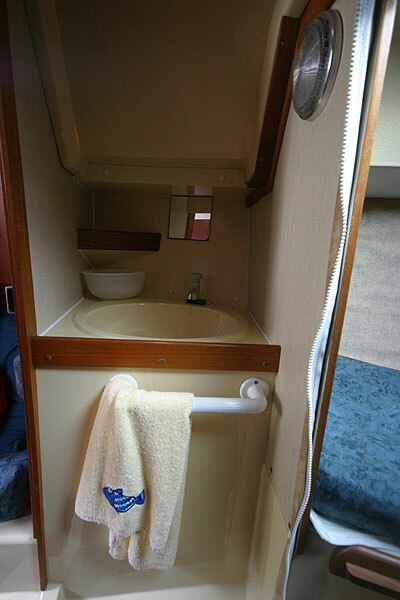 Moving aft, the heads compartment is on the starboard side with a large wash hand basin on the port side. 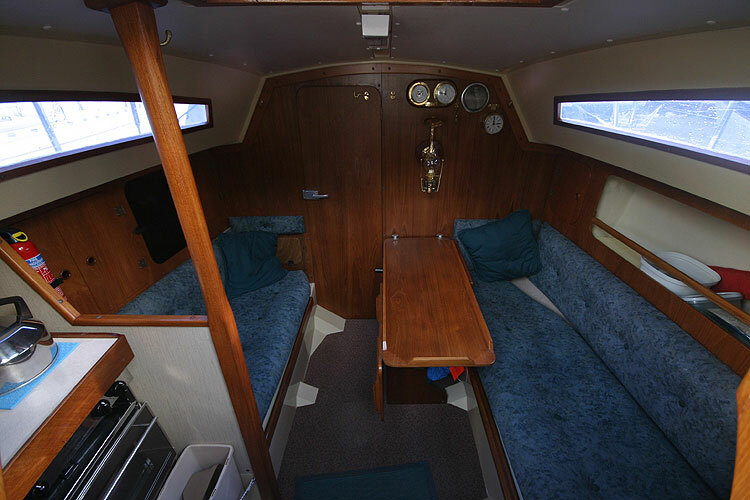 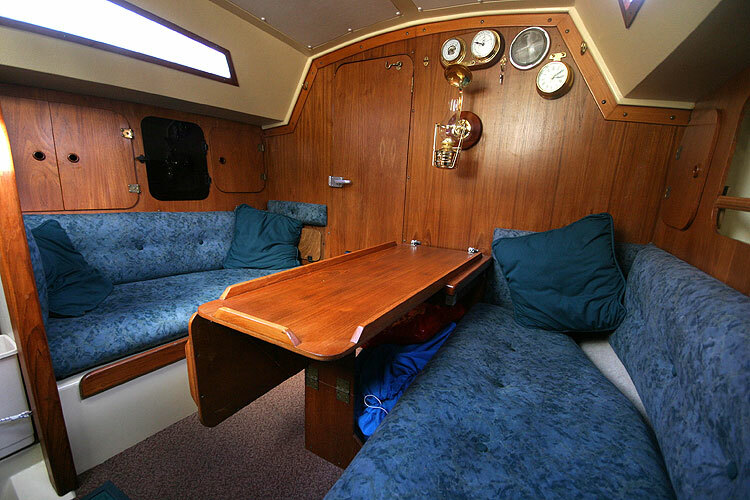 The main saloon has a settee and dining table on the starboard side, converting into a comfortable single berth. 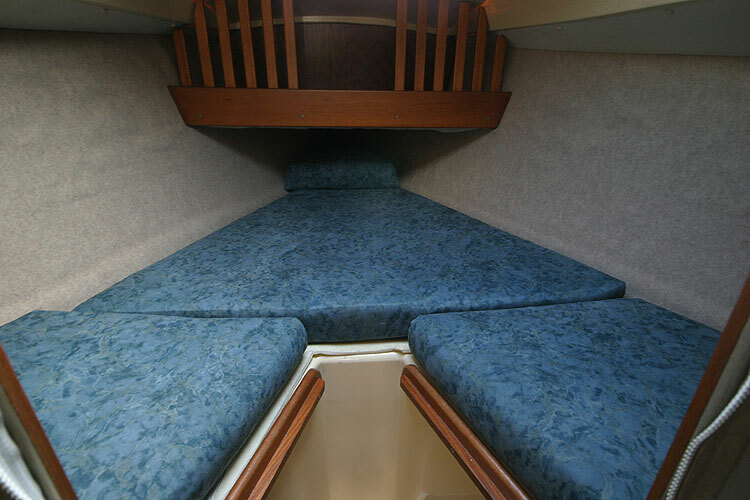 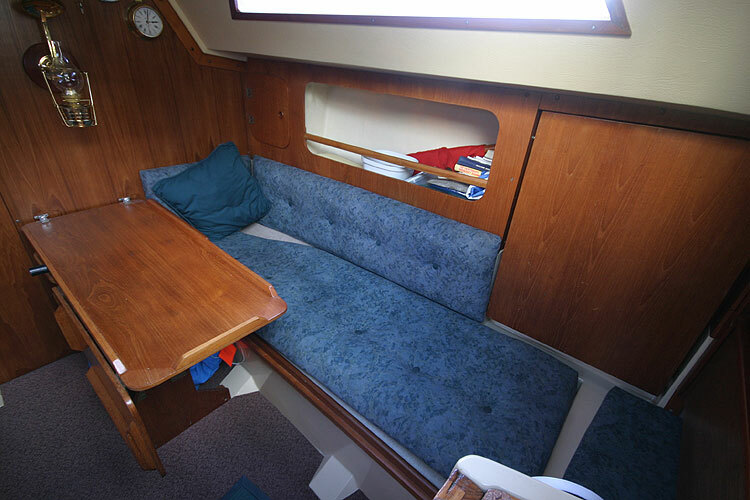 On the port side, another smaller settee provides a small single berth. 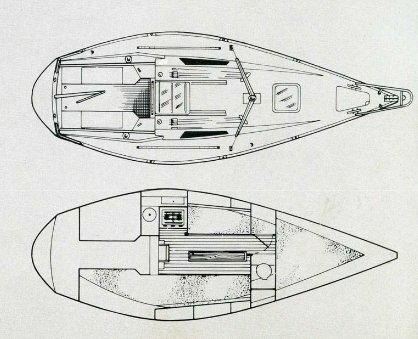 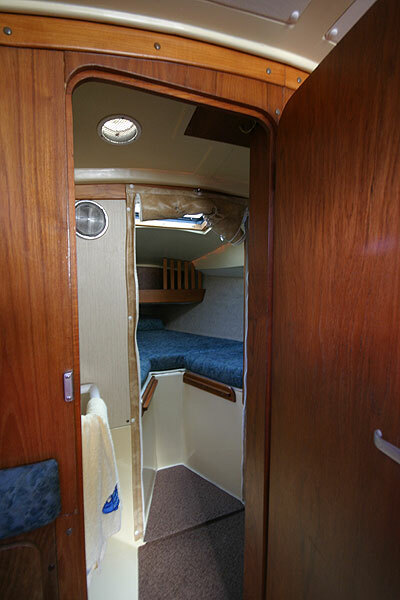 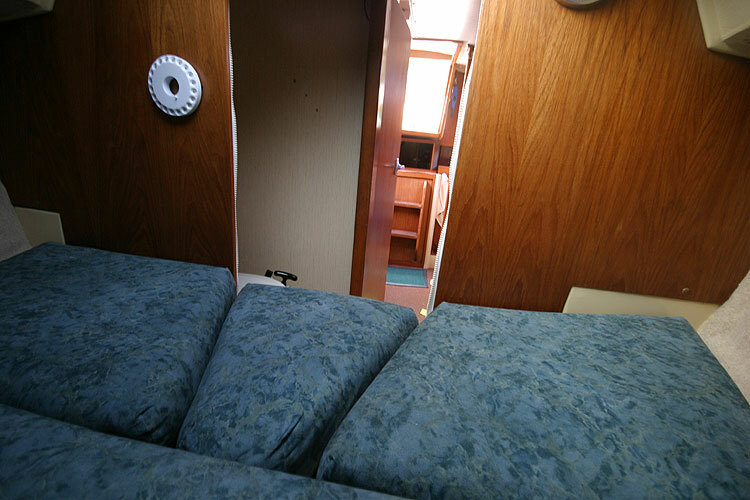 Aft of he starboard settee is the folding chart locker and table and aft of that a single berth running under the cockpit. 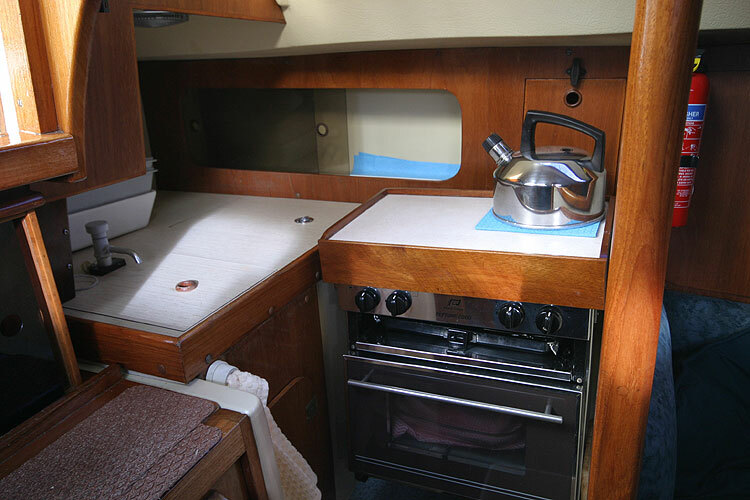 Aft of the port settee is the galley with small sink with pumped cold fresh water. 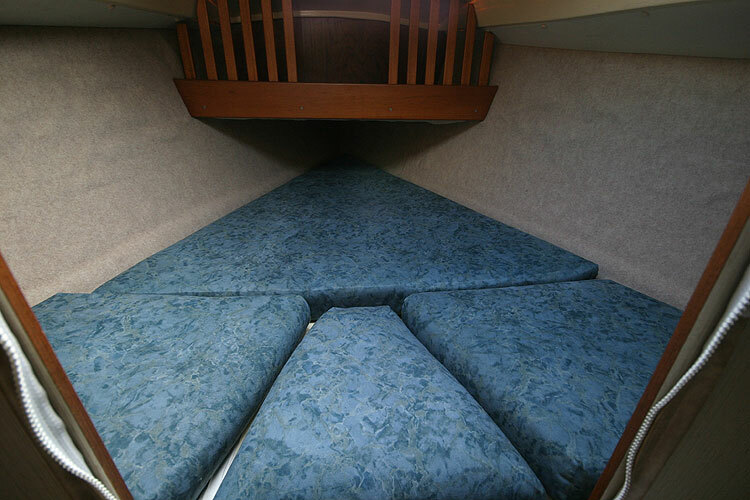 All the upholstery was replaced in 2003 using wipe clean fabric. 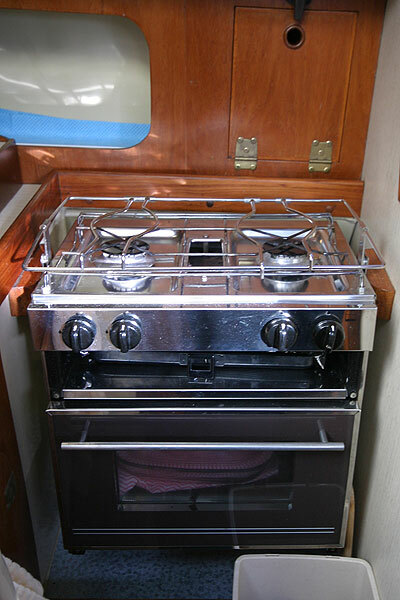 New Plastimo cooker fitted in 2005 complete with new approved gas pipework. 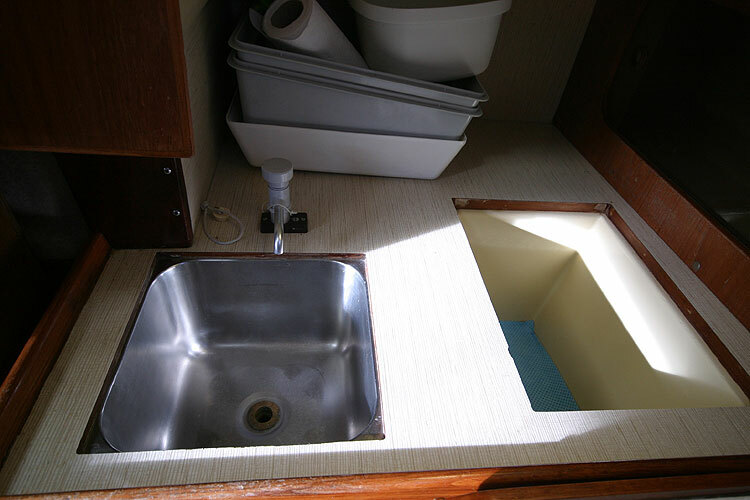 Stainless steel sink and cool box. 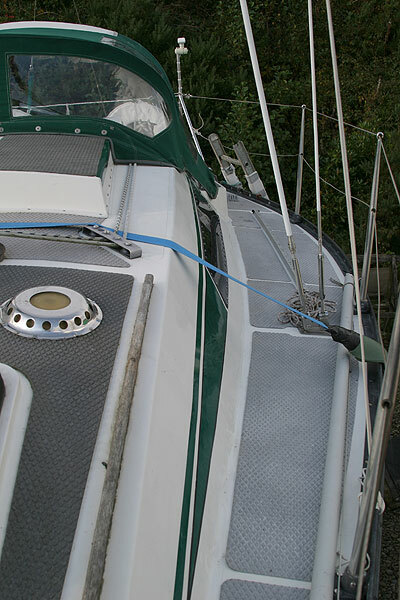 New mainsail in 2004 with slab reefing. 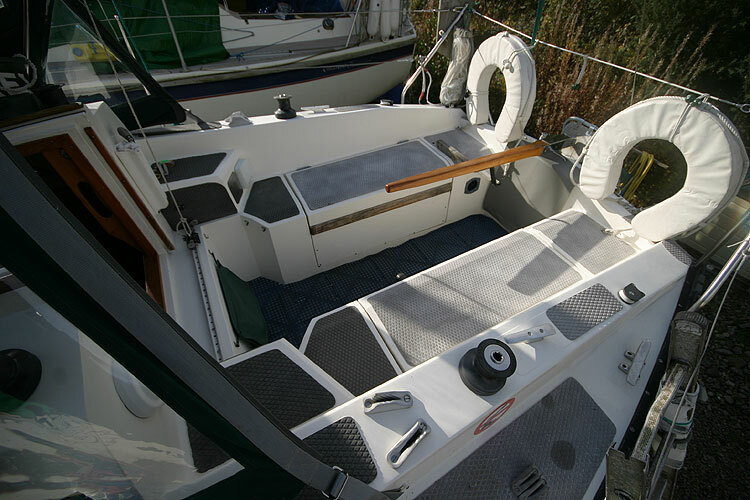 New cruising chute and snuffer in 2004. 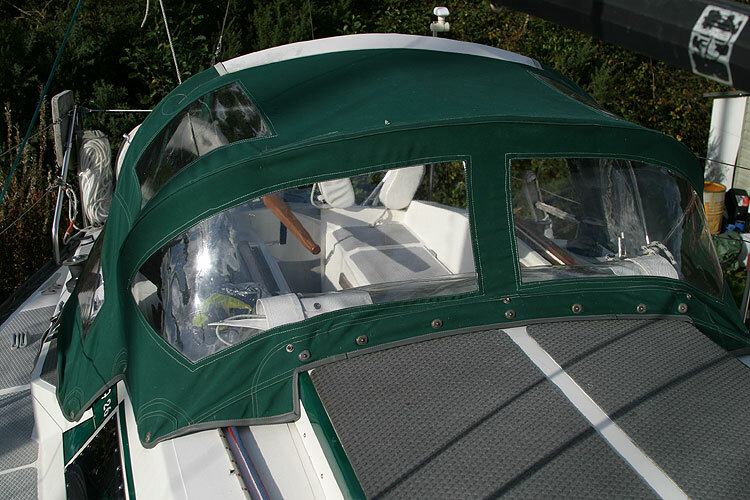 Main sail cover in excellent condition. 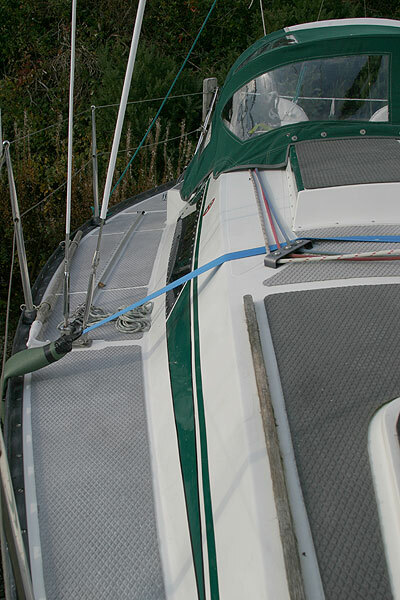 The outer shrouds and front fore stay were replaced in 2002. 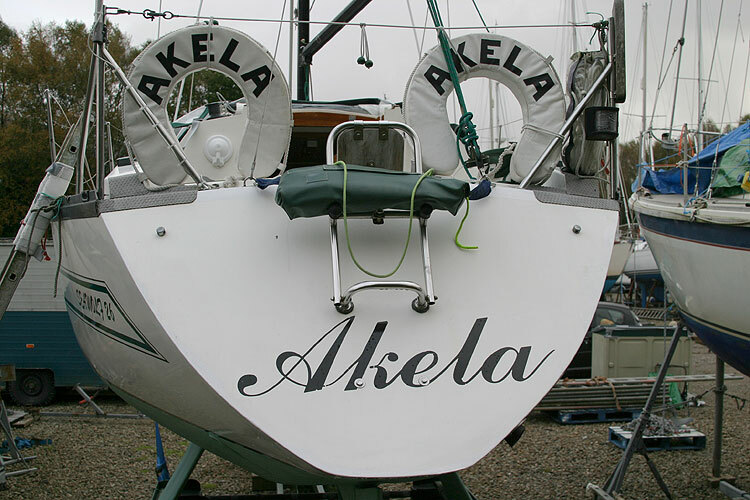 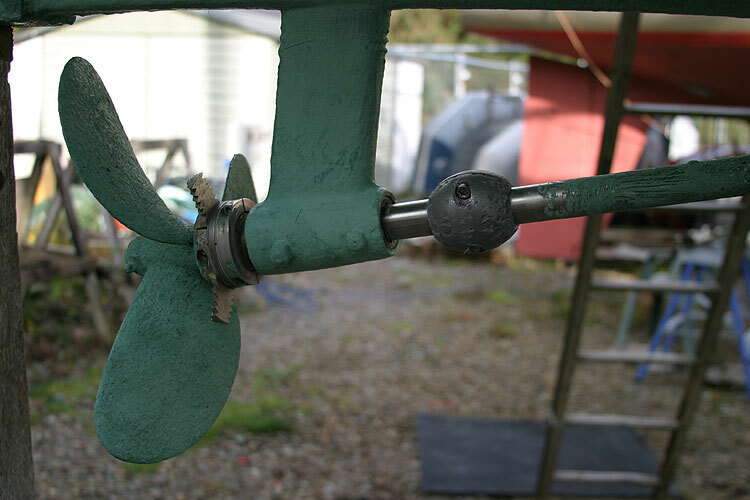 All running rigging is new. 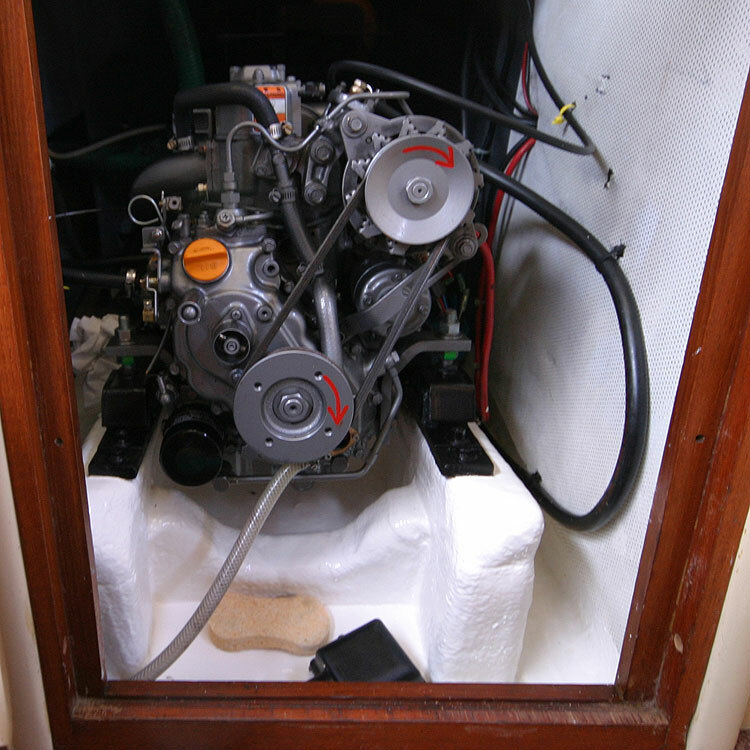 12 volt. 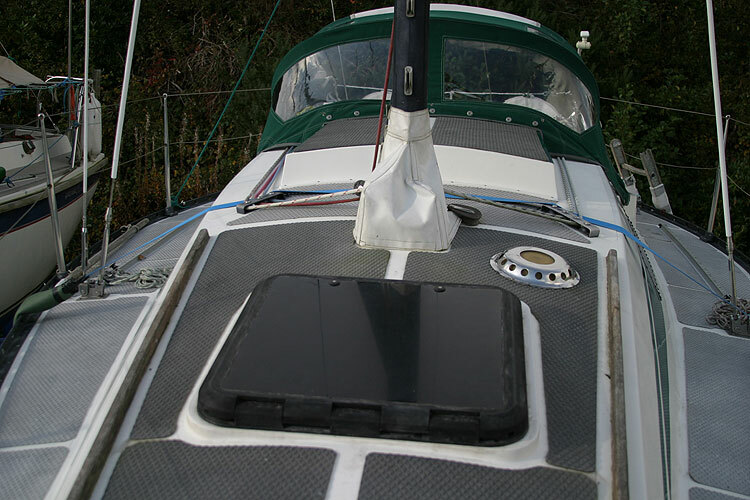 Two batteries (one new in 2006 the other in good condition). 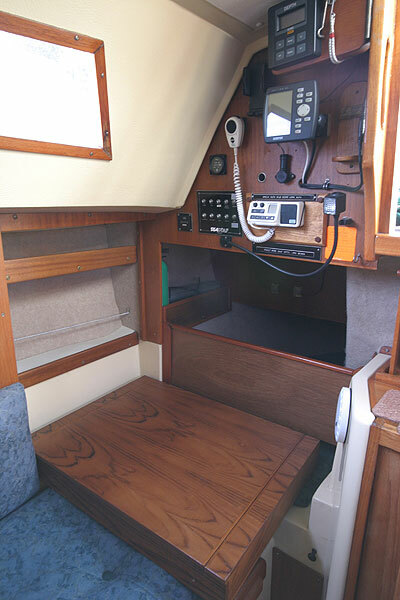 There are separate isolator switches for each battery. 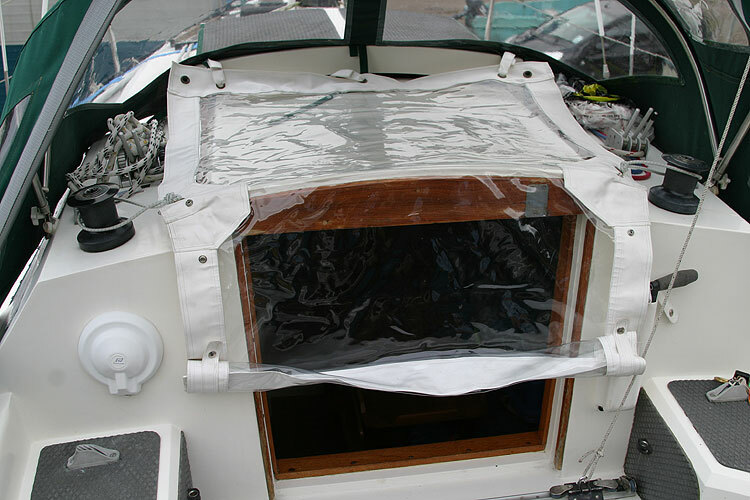 New sprayhood in 2004, fitted with new plastic windows in March 2008. 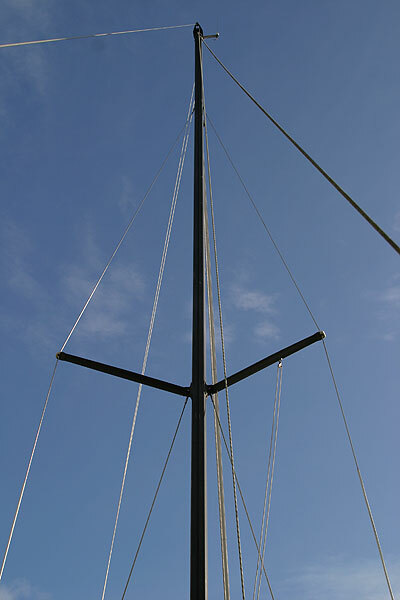 Danforth anchor with 55 metres chain. 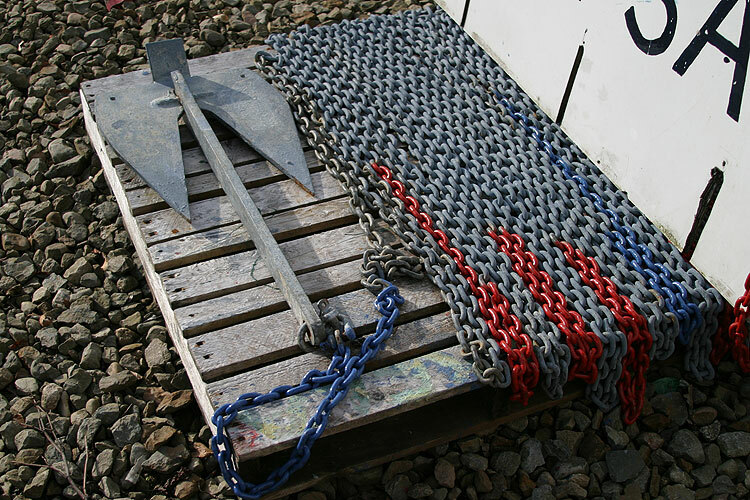 Spare Danforth anchor with chain and plaited rope. 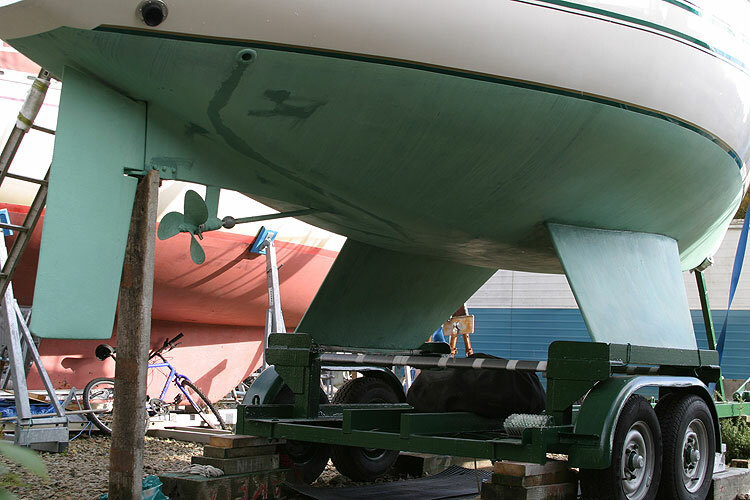 A complete set of fenders is included. 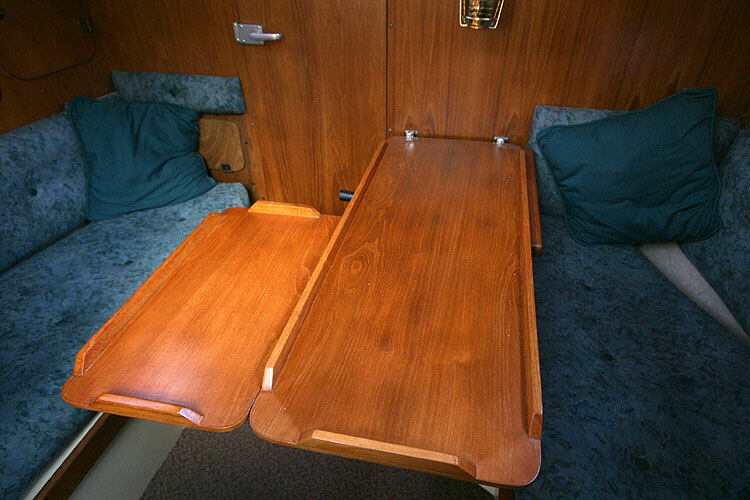 A custom built four wheel road trailer in excellent condition is included in the price. 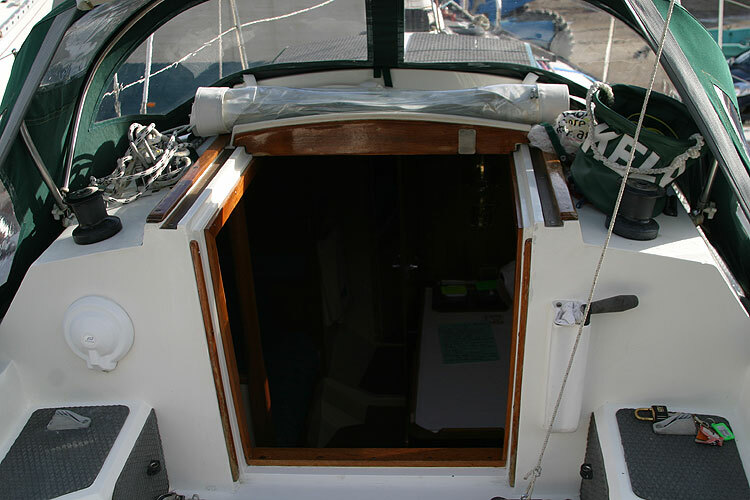 Last surveyed on 18th August 2006. 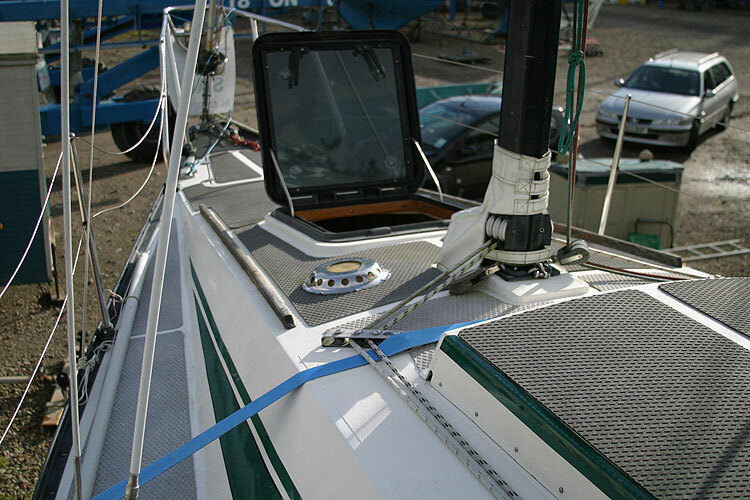 New non slip deck tread (Grey) 2004. 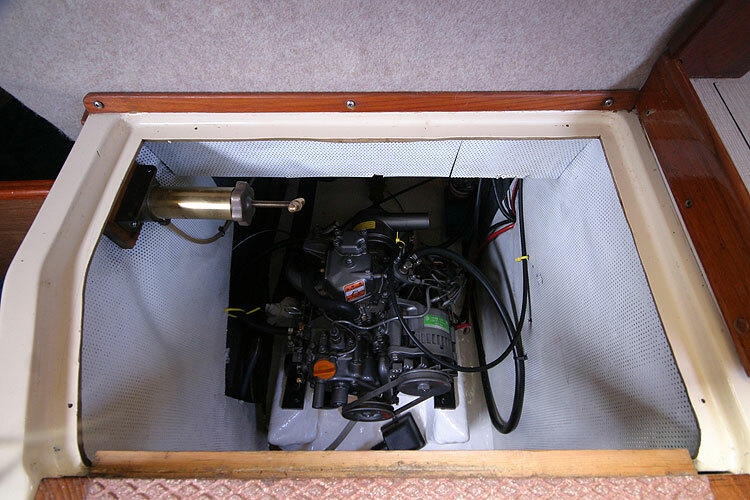 New fuel tank,fuel filter and piping fitted in 2003. 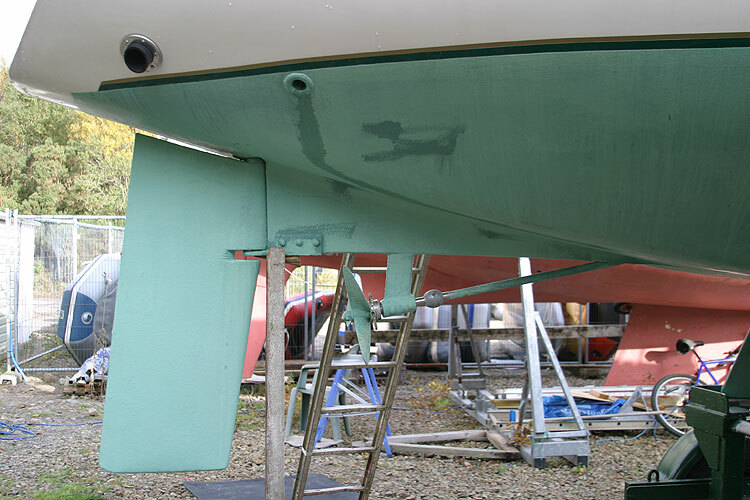 Water tank cleaned and re-sealed in 2004. 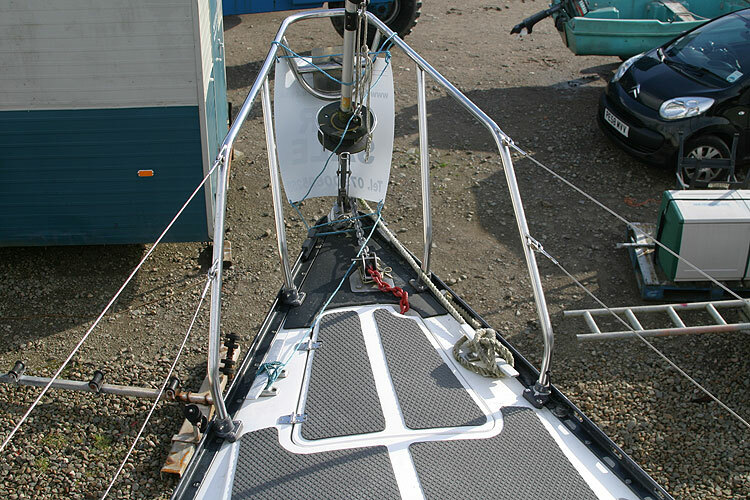 New exhaust and skin fitting and engine cooling water seacock fitted in 2003. 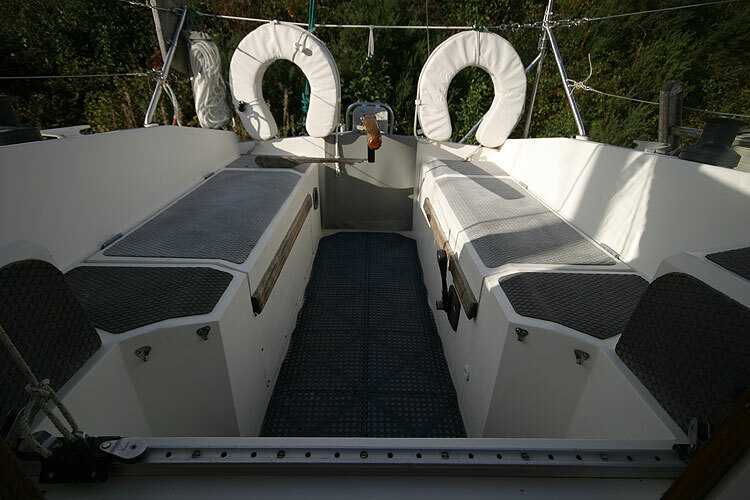 All other seacocks renewed in 2003. 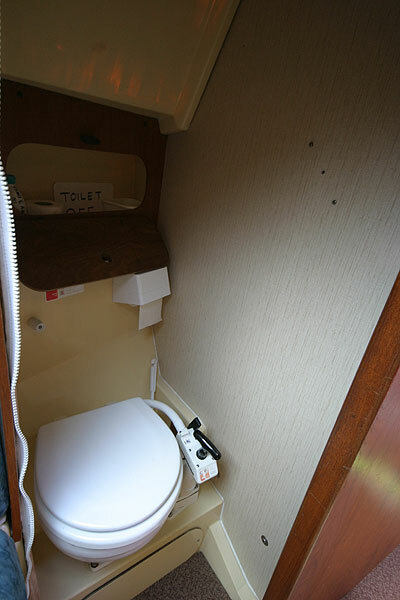 New sea toilet in 2002. 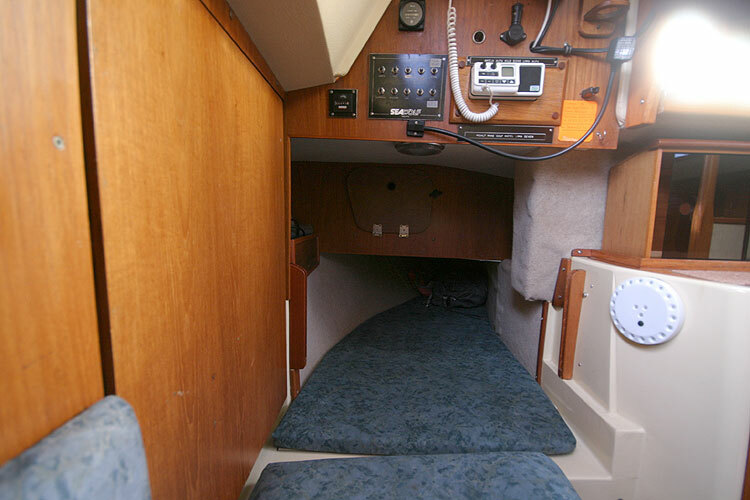 New Morse controls were fitted in 2002. 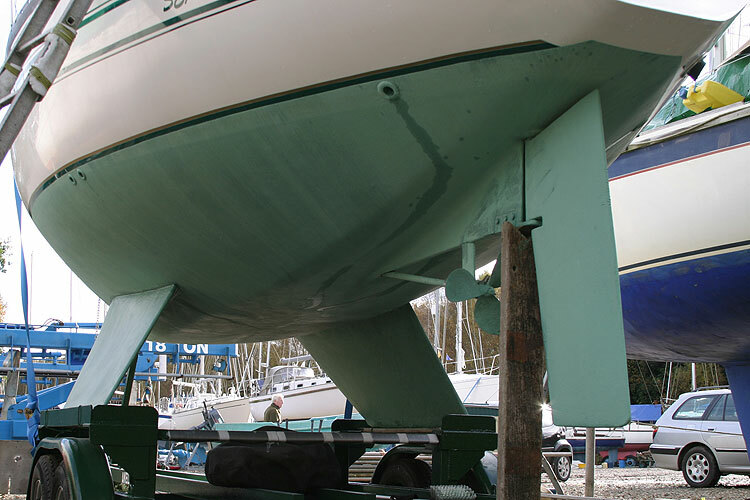 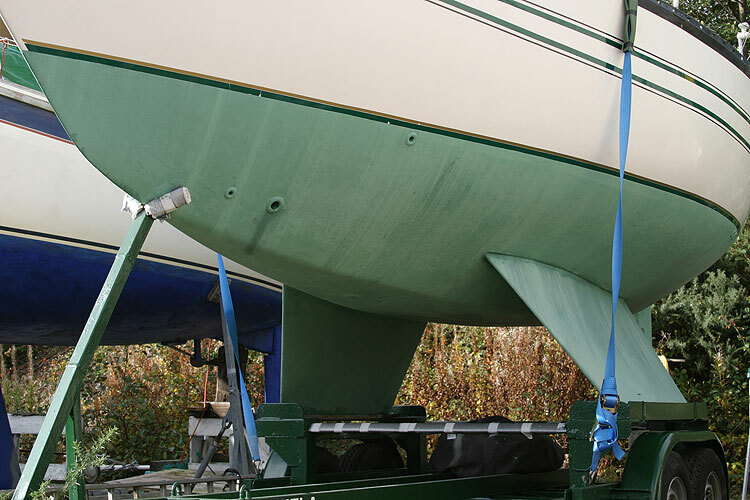 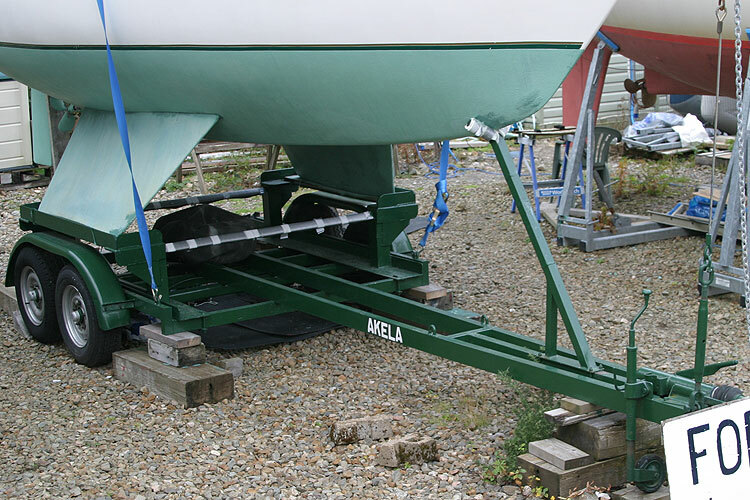 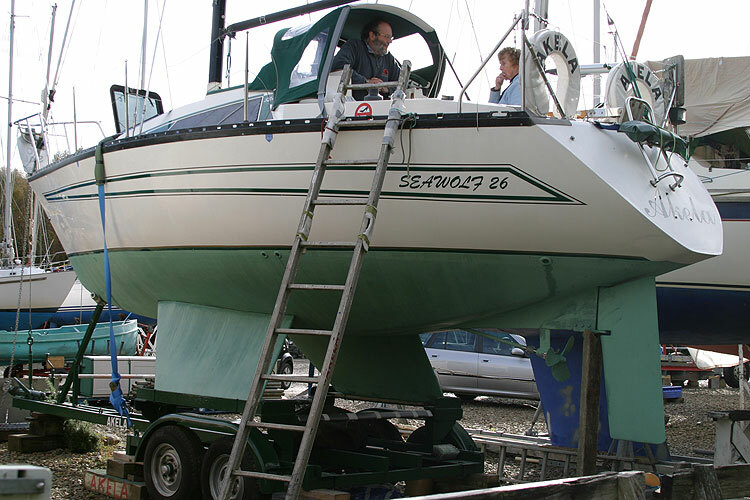 A boarding ladder is fitted to the stern and a second is available to hang on the toe rail. 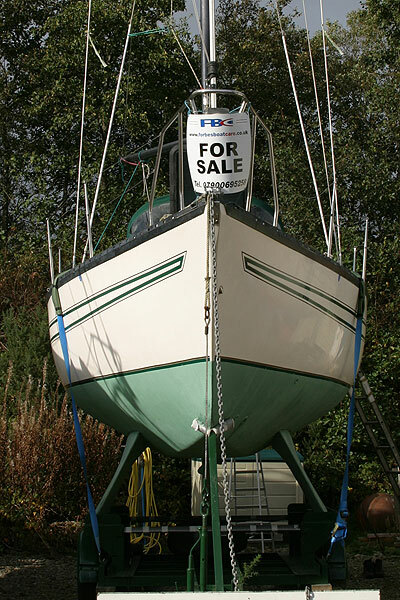 This boat is no longer for sale and remains here solely as an information resource for those researching Seawolf 26 MkII (275)'s.